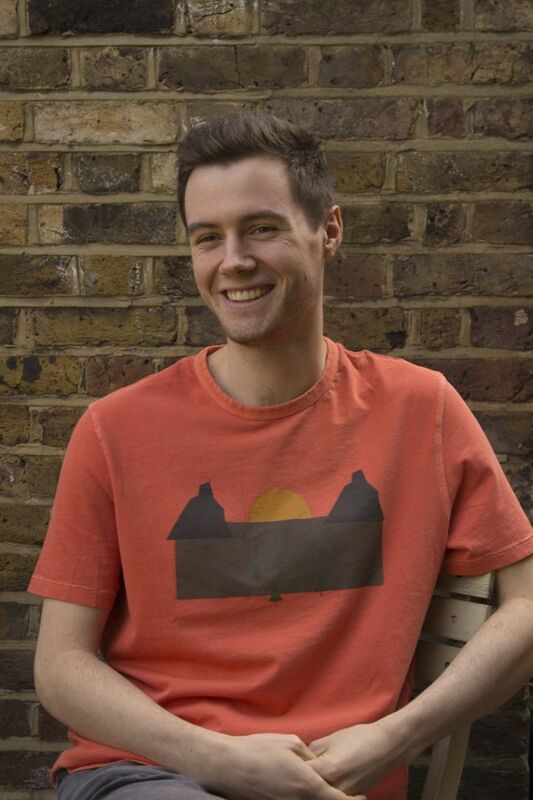 A range of T-shirts inspired by the great outdoors has been designed by creative Kingston School of Art students. The exclusive collection is flying off the shelves at White Stuff stores across the United Kingdom, as the result of a project launched by the leading lifestyle brand to support emerging designers. As part of its Nurturing Talent initiative, White Stuff challenged nine groups of Kingston School of Art students completing degrees across a variety of subject areas including fashion, illustration and graphic design, to come up with concepts for the clothing. The new range, unveiled in stores as part of the retailer's autumn/winter collections, was based on the theme of Mountains and Men, with the final looks resulting from close creative collaboration between the students. 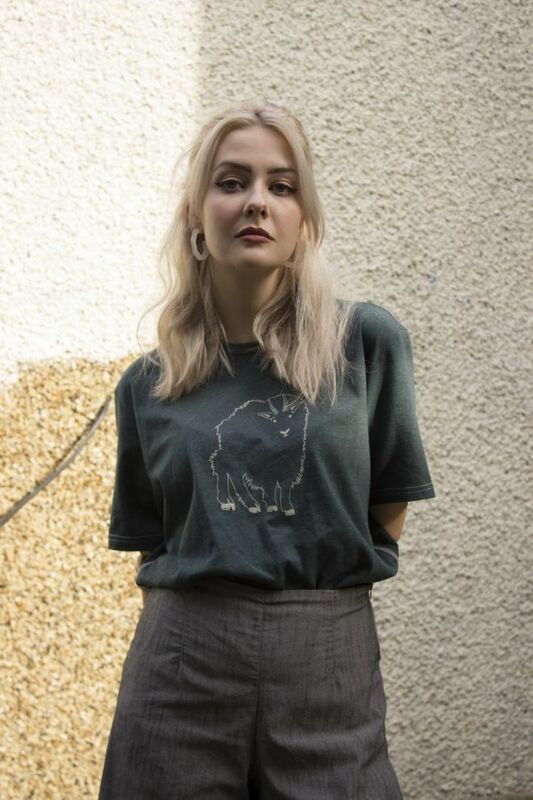 Student Saffron Rutter came up with the design for a bison T-shirt.After assessing the students' work, White Stuff settled on six designs produced by three groups of students for the ranges destined for its stores. Two of the students whose works are now being snapped up in store are Saffron Rutter and Finley Henson. 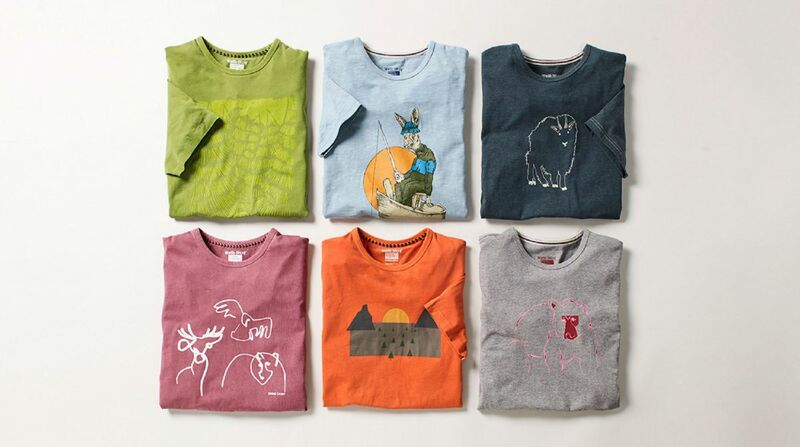 They co-designed T-shirts featuring a bison and a sunshine graphic, drawing their inspiration from everyday people, music, film and natural landscapes. "I wanted to create something fun and whimsical that still represents the brief of mountains and men," 21-year-old fashion student Saffron, from Wimbledon in south west London, said. "The design is clean and minimal, deliberately targeting the profile of a customer presented to us by the White Stuff team." 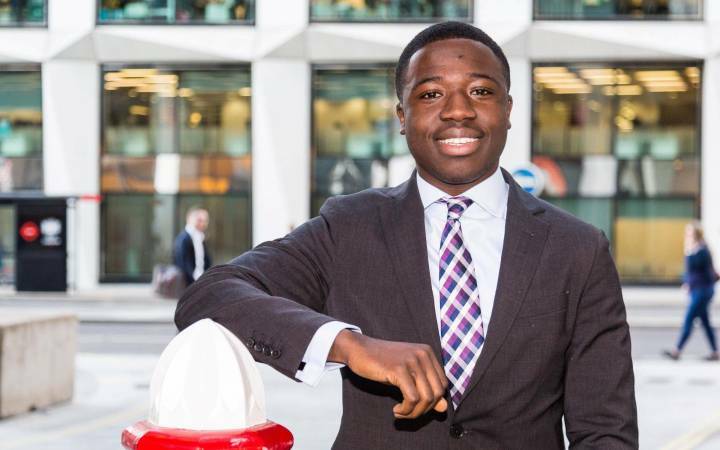 Finley, a 23-year-old graphic design student from Lewisham in London, said the print White Stuff had chosen to feature was the most organic of his designs. "It's based on my idea of a cinematically-wide, mountainous landscape," he explained. "Unlike the other designs I created, where I used stock images for reference, it came directly from my imagination, which is why it mostly consists of primary shapes and flat colours." 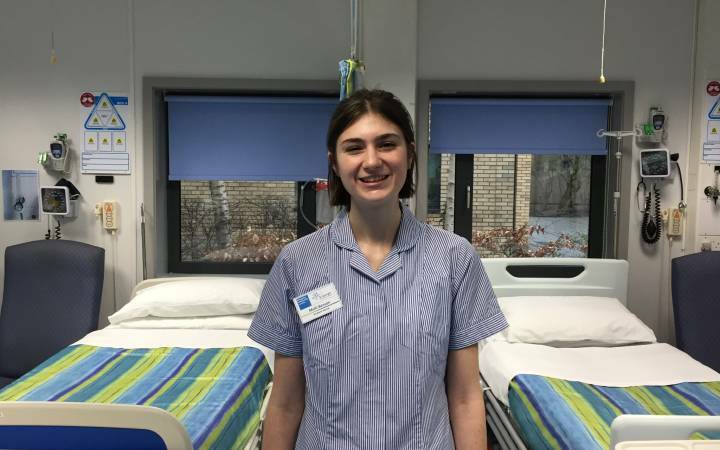 Saffron, who has just completed an internship with Ralph Lauren in New York, said the project with White Stuff had been a fantastic opportunity to showcase her ideas while working on a live industry brief. "The experience has given me a really valuable insight into how clothing retailers design to fit their audience, and how the whole system works," she said. Finley said the collaboration had helped him gain important new management skills in a real world setting. "It's really flattering to have some of my work out there in the real world," he added. "It's an opportunity for which I'm very grateful." Student Finley Henson sports a T-shirt with the sunshine graphic he designed. White Stuff menswear design manager Craig Osborne and menswear junior buyer Lucy Hunt faced a difficult choice narrowing down the final designs for the range. 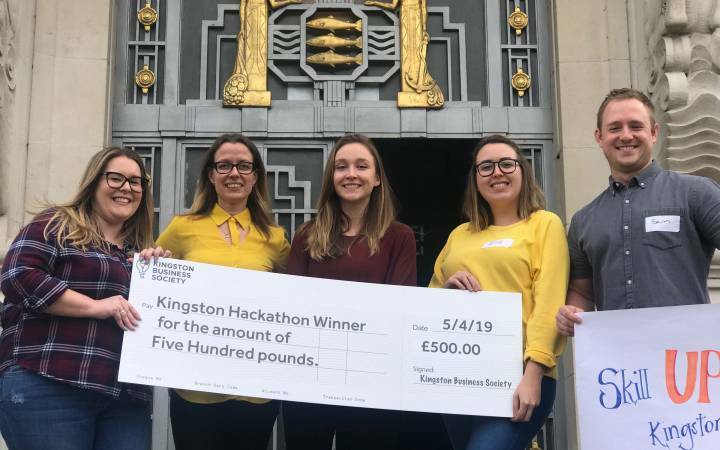 "The results were exceptional, demonstrating the creativity and imagination that has gained Kingston University its worldwide reputation for design excellence," they added. 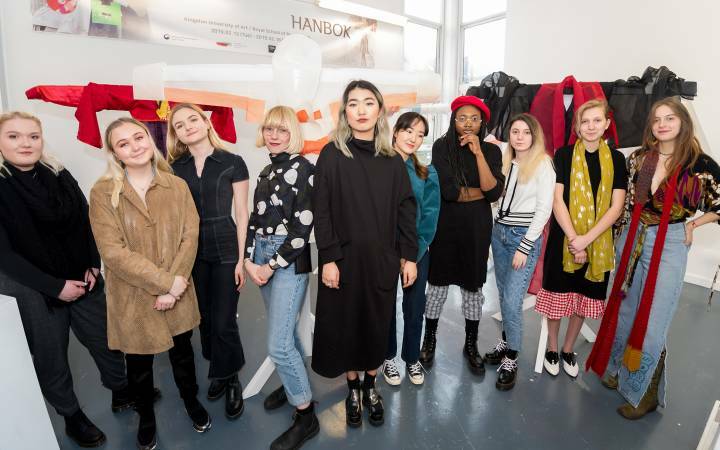 Head of Fashion Associate Professor Elinor Renfrew said the partnership was a good example of the benefits of the exciting opportunities Kingston School of Art students had to work with industry. "The students taking part in White Stuff's Nurturing Talent initiative have embraced the opportunity to work with real fashion designers, learning valuable skills that will help lead to successful careers after they graduate," she said. "The project showcased their versatility and creativity when approaching a brief, leading to some exceptional products making their way on to high streets across the country." The T-shirts are available to purchase both in store and online. Find out more about studying at Kingston School of Art.